Expectations takes a roller coaster ride when the musicians and Director of the musical blockbuster "Aashiqui 2" joins in again for "Ek Villain" (under Balaji Motion Pictures) which has some good buzz around it courtesy some mysterious looking promo's. Ankit Tiwari and Mithoon who swept the listeners off their feet with 'Sun Raha Hai Na Tu' and 'Tum Hi Ho' respectively are ready to storm the nation once again, more-so over as the Director Mohit Suri has always been related to 'Hit' melodious numbers. Let's dwell inside straightaway! Ankit Tiwari (composer and singer) starts off magically with "Galliyan" which has in it to be the song of 2014 as of now. It starts off on an unplugged note and suddenly Electric Guitar riffs takes centre stage with some soft orchestra, the song shifts gears towards the latter part where the flute and violin develops a 'WoW' factor. Ankit Tiwari with his vocals creates a soothing aura beautifully interwoven alongside Manoj Muntashir lyrics, keep this one on loop! 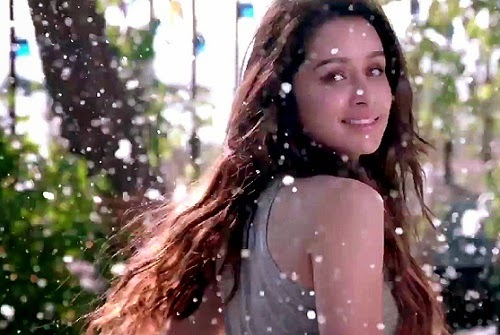 An unplugged version is always a treat for music lovers; "Galliyan Unplugged" is a surprise package which tests the singing talent of the lead actress Shraddha Kapoor. The acoustic Guitar alongside the mesmerizing piano is magical and words fall short when Shraddha oozes emotions and pathos with each word and melts your heart, what with soft drum beats and violin during the second half where Ankit Tiwari joins in and takes this version to an altogether different stature and leaves the listeners in trance..Take a bow Ankit! Mithoon's "Banjaara" is very reminiscent of the composers trademark unplugged style (and his previous compositions recently) where vocals and lyrics takes centre stage with soft/minimum orchestra, don't miss out on the harmonium in the first interlude. Mohd.Irfan who is well known for 'Phir Mohabbat' (Murder 2) and more recently 'Dard Dilo Ke' (The Xpose), weaves magic around Mithoon's lyrics that flows like poetry and touches the soul. Close to six minutes, it certainly demands few hearings and is easily one of the best compositions to come out of Mithoon's stable lately. Masterpiece! Mohit Suri has a certain liking for sad-heartbreak themes and he makes his presence felt with "Zaroorat" which seems to be straight out of 'Vishesh Films'. Composed and written by Mithoon, it has a dark theme where the protagonist is yearning for his beloved and the flamboyant use of electric guitar and orchestra with some intense lyrics (especially the second paragraph) makes this one so different from the various other compositions of the same genre. The voice of 'Pain and Heartbreak' Mustafa Zahid makes one feel the pain with his renditions, although it will take a while to develop a liking for this one which will be more popular post the movie release. Up next "Awari" by 'Soch' (Pakistani Band) is a musical extravaganza and the five minutes makes one wanting for more, although this being an adaptation of their very own Nescafe Basement song by the same name, the major difference here is the inclusion of a fabulous female voice Momina Mustehsan who brings extreme calmness and zeal to this intense composition, especially in the low notes..Gorgeous. The male vocalist Adnan Dhool strikes gold and is eccentric in the high pitched notes. The composition has an intoxicating effect instantly and is a perfect blend of soft rock and Sufi, a forte which is still untapped in Bollywood. For the arrangements, one can hear Guitar riffs in the background, a bit of Sitar in the first interlude and a lot of drums after three minutes. The song is to be picturised on Prachi Desai and should be a really interesting one..It’s certainly the Highlight of the soundtrack...a real Gem! A simple mellifluous melody alongside Guitar strums with some heart-warming, emotional lyrics, add to that the charming vocals of Arijit Singh.."Humdard"; composed and written by Mithoon is a situational number that has very basic arrangements but it's the lyrics and vocals that wins you over. It beautifully describes how the protagonist has found solace in his lover and can go through any pain or any extent if she is around. 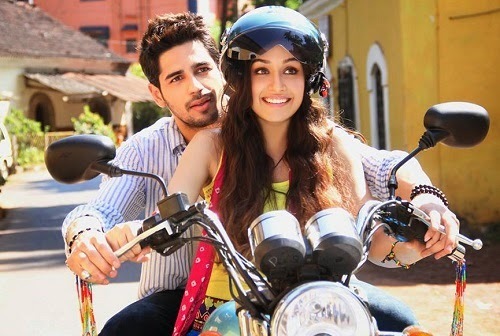 To sum up "Ek Villain" lives up to the expectations, Ankit Tiwari, Mithoon along with Soch-The Band makes sure that there is something for each segment of listeners. 'Galliyan', 'Banjaara' and 'Zaroorat' are for the masses where the former has already topped the charts, on the other hand 'Awari' is for the listeners who likes their music to be unconventional and has some thought-provoking lyrics. Love and Romance are the key factors here around which the plot revolves and each song should fit in pretty well alongside the narration. All in all a soundtrack worth your time and money!